Kevin J. Chroman, Esq. and Fred Glassman, Esq. of Family Divorce Solutions of San Fernando Valley gave a presentation on February 11, 2016 introducing the Collaborative Law Clinic to Loyola Law School students. 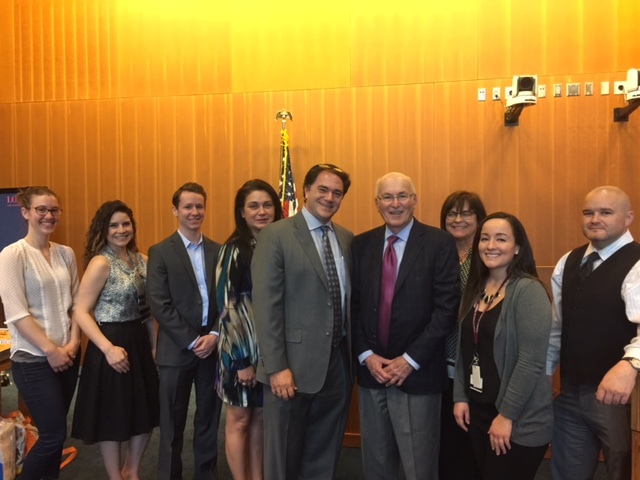 Photo: (starting fifth from left to right), Kevin Chroman and Fred Glassman of Family Divorce Solutions of San Fernando Valley; Loyola Law School Professors Mary Culbert, and Professor Sara Campos, together with the staff at The Center for Conflict Resolution.